Of course the mobile WEB has been infested with a horde of spiders! 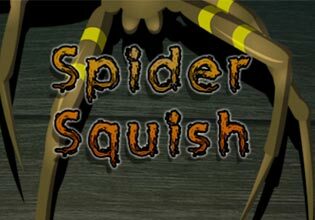 Squash these creepy crawlers before they make it across the screen. If you let even one escape, it's game over! Warning: this game is not intended for people with arachnophobia!